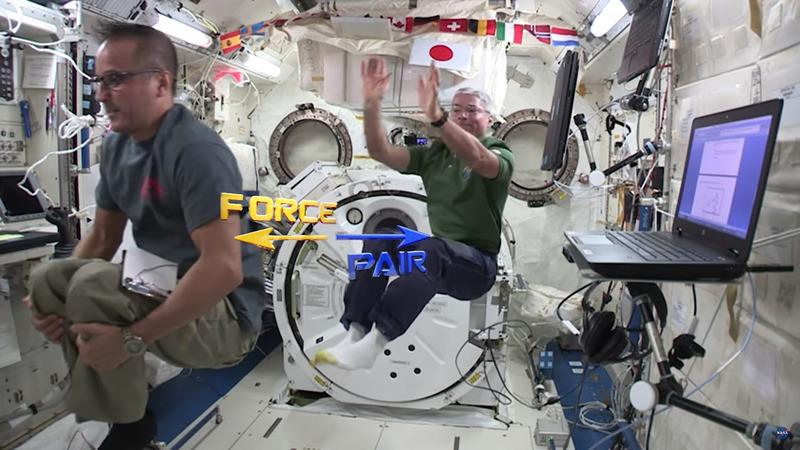 Watch NASA astronaut Mark Vande Hei demonstrate Newton’s Third Law of Motion on the International Space Station by exhibiting an equal and opposite force pair. What are some examples of equal and opposite force pairs on earth and in space? NASA Education at Johnson Space Center released this video and lesson plan in March 2018. Onboard the International Space Station, astronaut Mark Vande Hei uses a basketball and a fellow astronaut to demonstrate the equal and oppopsite forces described by Newton’s Third Law of Motion. 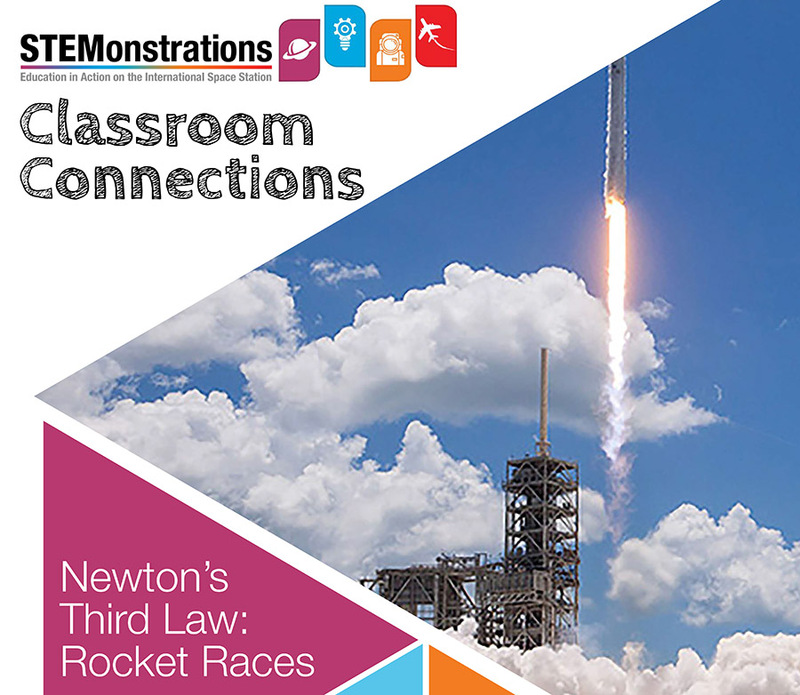 Newton’s Third Law explains why a rocket shoots upward when it sends a stream of exhaust downward.